The COF-5370 was introduced in 1976 and has the unique claim as being the only new truck introduced by International that year. 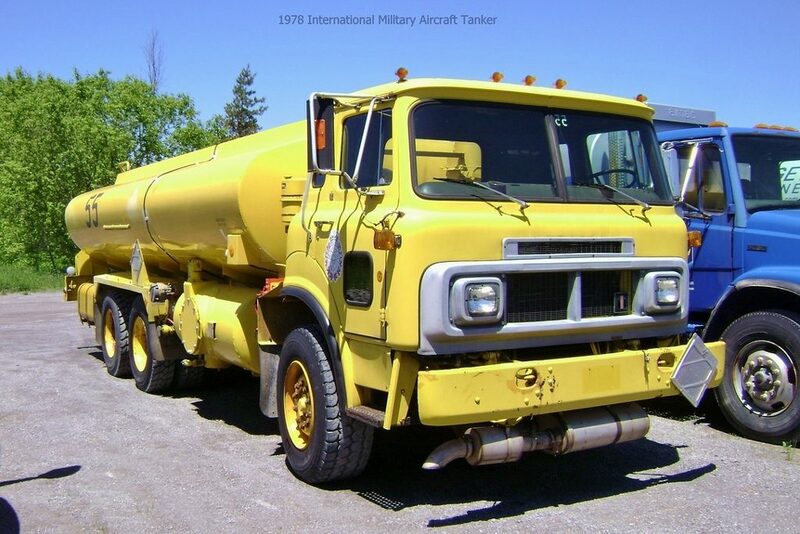 This is a notable event as during the 1970’s the International truck line was extremely diverse with a wide variety of legacy trucks still being offered along with the next generation of trucks starting to emerge in the form of the S-Series. At first glance you might be inclined to refer to the COF-5370 as a Cargostar but in all regards this model eclipsed its lighter brother. From the start the 5370 was designed to accept the largest bore diesels of the era and was exclusively 6×4. With a GVW rating in the range of 50,000 to 70,000 life in the refuse industry was the near exclusive domain of this model. But, as you can see from this photograph there are many roads that lead to hard and heavy work. Outback a 8,000 gallon fuel tank produced by SNVI of Montreal, Quebec resides. A specially mounted exhaust system beneath the cab speaks to work as an aircraft refueler. If you have the book International Trucks by Fredrick Crismon you’ll seen an exact clone of this truck on Page 503. Who knows, it might be the exact truck! Thanks to John for sharing this photo! This entry was posted in Free and Easy and tagged International COF-5370. Bookmark the permalink.